My summer wedding season has come to an end and I'm busy working on design plans for 2014 events, prepping for the holiday season and trying to get as caught up as possible on paperwork as I prepare to take a spring sabbatical. Expanding one's family while working in the wedding and event industry has always been a conundrum for me, it has to be so carefully scheduled into the year and the thought of that sort of intense planning has intimidated me for a long time. But somehow my husband and I managed to make it happen and frankly, it couldn't have happened any more perfectly. We wanted two children, and we're getting them-- all at once. Samuel and I are expecting identical twins in late March or early April. We were simultaneously shocked and thrilled when we got the news, and are still trying to adapt to the idea of an "insta-family." Due to the high-risk nature of a monozygotic pregnancy, I'll be slowing down dramatically where work is concerned beginning in January as I enter my third trimester. I intend to take March, April and May off work (fortunately these are some of my slowest months of the year-- events that are already on our books will be supervised by me but executed by my incredible assistants), with no additional bookings being accepted for those months. I also will not be accepting any travel bookings between now and June 1st. It's hard for me to wrap my head around the idea of not working and knowing myself, I'll probably continue as much as I'm able... but since this will be my only experience having babies, I also want to give myself the time to get to know my wee babes and settle into a routine with them before jumping back in to my normally crazy and hectic work schedule. I plan to be back to editorial styling and installing events on June 1, 2014. Our regular and booked clients have been notified and everyone has been so gracious and lovely about this little upcoming break. I can't thank you all enough for your continued support and I look forward to working with you again next summer! In the meantime, I hope to get back to more regular blogging, so check back later this week - I'll be sharing photos from one of my 2012 weddings as well as the recipe for my favorite carrot cake! 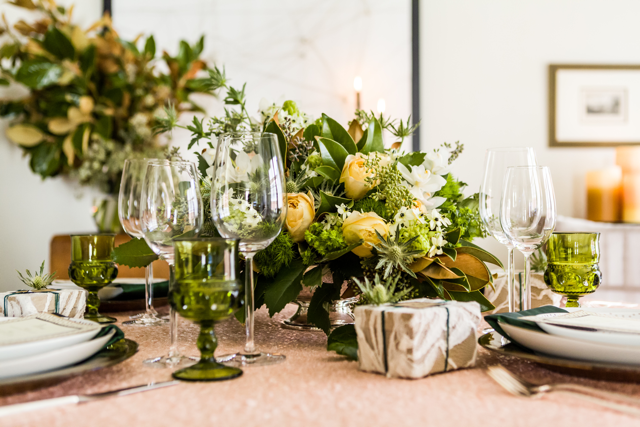 I recently collaborated with an incredible team on a festive holiday photo shoot showcasing how much the right linens can enhance a dinner party table. 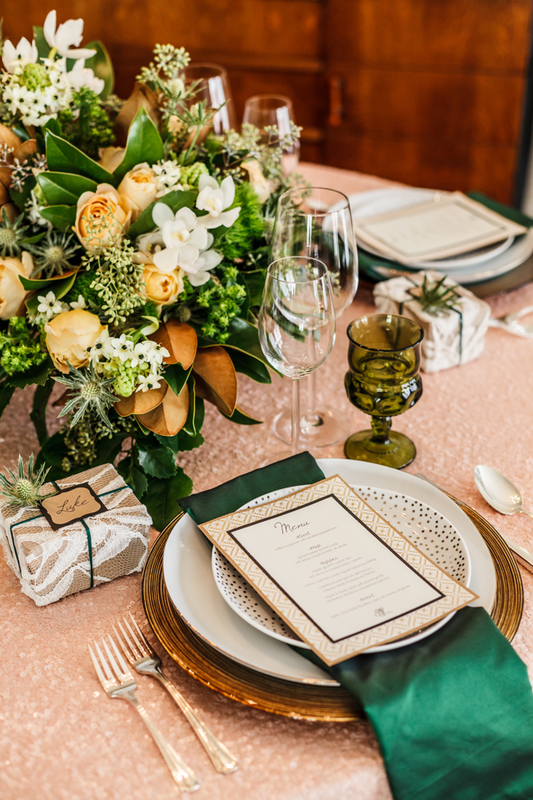 I love the classic elegance we were able to evoke, with just a touch of va-voom with that gorgeous sparkly blush-colored tablecloth. And I have to point out that the choice of emerald green as an accent color was chosen long before Pantone announced the 2013 color of the year! Trend-setters much? 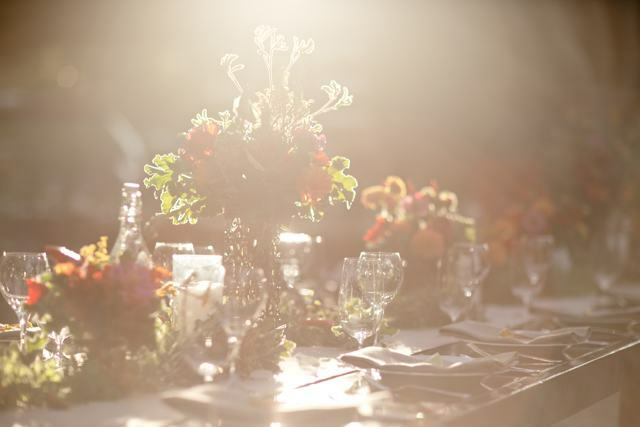 CREDITS | Event Stylist: Sarah Granger-Twomey | Photography: 2me Studios | Floral Design: Lauryl Lane | Linens: La Tavola Fine Linen Rental | Catering: Jeanette Holley, Zest Catering. I love Autumn's cooler temps and changing colors. Reds, oranges, greens, well, they are my favorite colors all year round, but they seem to shine most in Autumn. This bouquet and boutonniere represent the colors and textures I most associate with my favorite season of the year. I love the mix of traditional butterscotch roses, bright red anemones and ranunculas, brown cymbidium orchids, orange poppies and fancy gerbera daisies... such an eclectic mix with so much character. I wish I could have this bouquet sitting on my coffee table all season long. 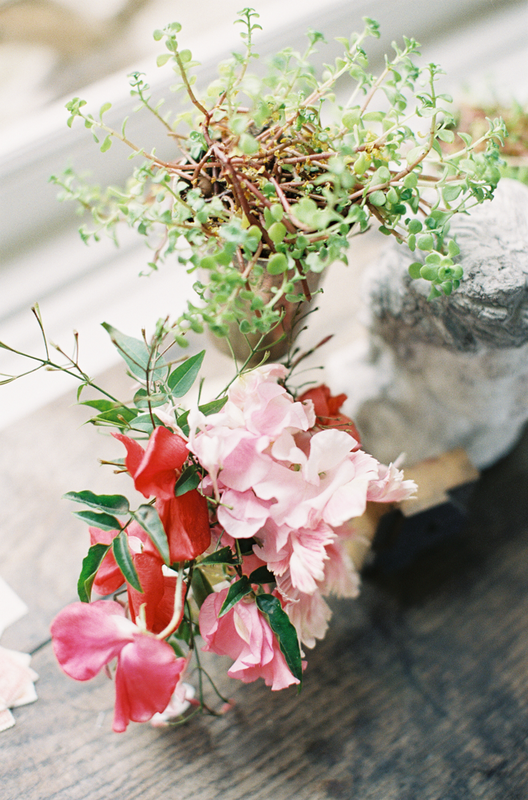 Floral Design by Lauryl Lane | Images by Sara Hasstedt. Seasonal bouquet series | Spring, Summer, Autumn, Winter. With Father's Day looming ahead, you might be wondering what to get to express your love and appreciation for your dad. Unlike mothers, fathers don't usually inspire gifts of flowers. But even macho dads might welcome such a gift if you could explain to them the message that you've endeavored to convey through your strategic choice of the individual flowers making up the bouquet. And if your dad is in a creative field, like mine is, he may appreciate the ephemeral beauty of a gift of flowers, too! As the old saying goes, it's the thought that counts: and a bouquet of flowers filled with traditional meanings is more than just a thought. 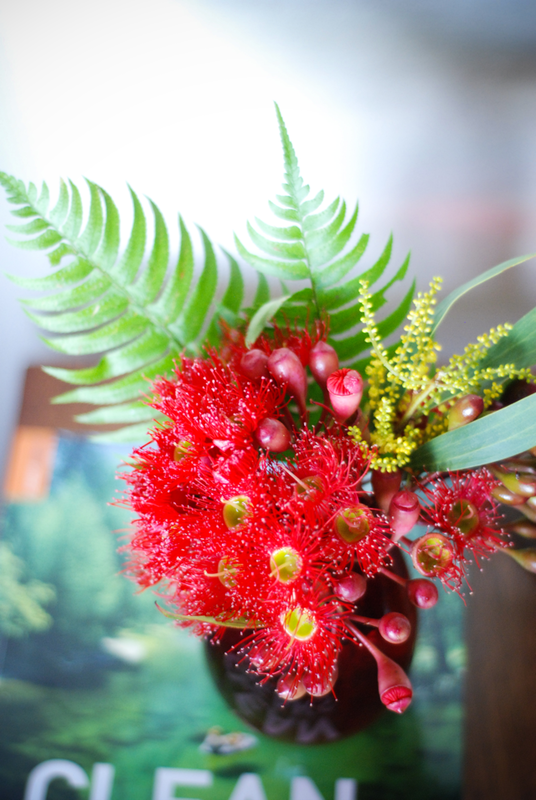 When looking at meanings for flowers, don't forget about the foliage! 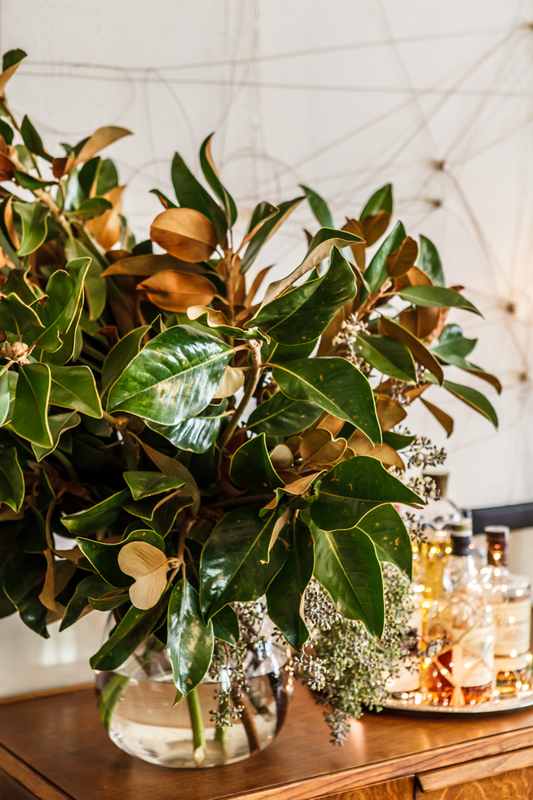 Foliage doesn't always have a separate meaning from it's flower, but if the flower meaning is apropos, than you can apply it to the foliage as well. Gardenias, for example, have amongst their many meanings one that is specifically geared towards men, "good luck to a man." 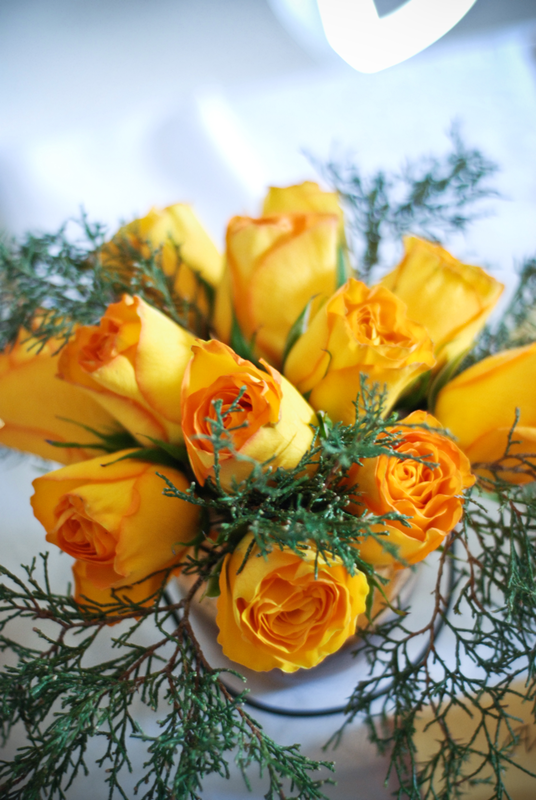 To give your dad that masculine "good luck" message, as well as letting him know that he is splendid, that you esteem him, that you are grateful for his lasting friendship with you and to recognize the strong bond of affection between you, choose gardenia foliage, freesia, sunflowers, bupleurum and stock. Sunflowers also stand for power, and even as adults, many children still think of their fathers as the most powerful men on earth! There are a wide range of flowers that would be appropriate for an arrangement for dad, such as ginger, which can stand for strength, or gladiolus, which can mean "strength of character." Whatever you choose for your father, don't forget to tell him about the message behind the flowers- because that's where the true meaning of the gift lies! CREDITS | Photography by Bonnie Tsang | Floral Styling + Text by Lauryl Lane | Graphic Design by MaeMae Paperie| Location at Palihouse, West Hollywood | Floral meaning resources: Victoria’s Dictionary of Flowers, Wikipedia Language of Flowers, FlowerMeaning.org. I recently had the opportunity to design and style the florals for a product shoot at a stunning private residence in Malibu. 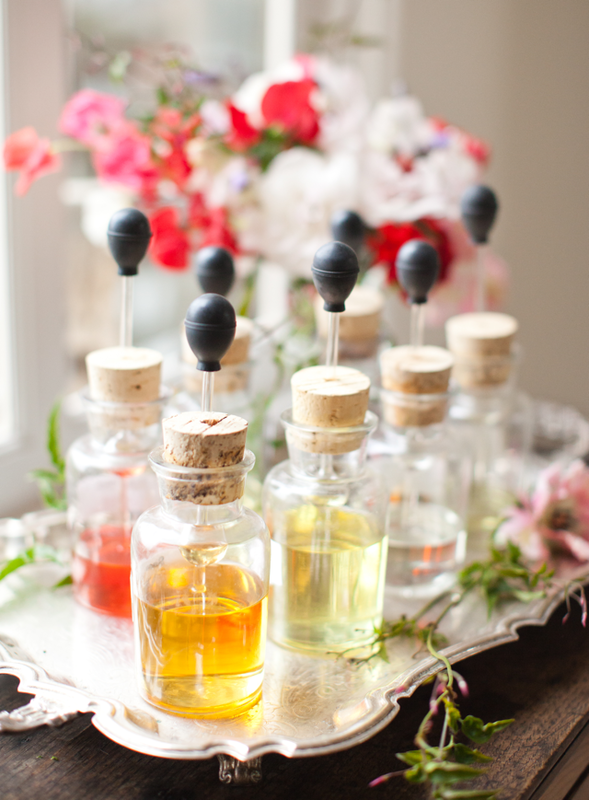 The star of the show was the custom fragrance bar created by Courtney of Ka-Mil-Yin. After our shoot wrapped, Courtney demonstrated how she conducts private parties providing custom fragrances for the guests, by designing fragrances for each of the ladies on set. I ended up with a scent that I just can't get enough of- my own "signature" fragrance of orange, fig, sandalwood and white tea. I can hardly wait until I have the opportunity to hire Courtney for my own fête! As always, it was a pleasure to work with Summer Watkins, my favorite fellow-stylist by far, and I cannot rave enough about Jen Huang, who creates total magic with her camera. I don't know that my floral designs have ever looked more ethereal! 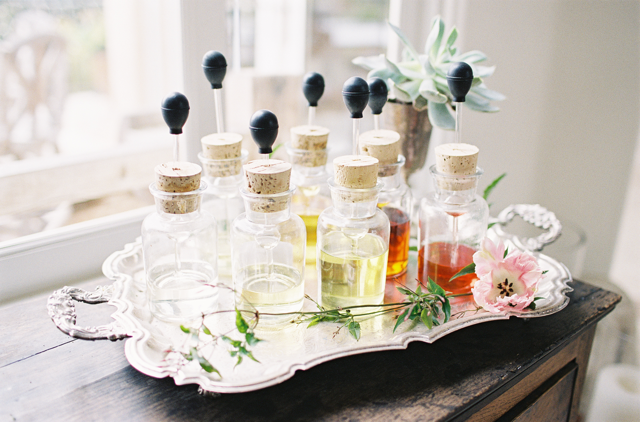 CREDITS | Photography: Jen Huang | Custom Perfume Bar: Ka-Mil-Yin | Styling: Summer Watkins | Botanical Styling: Lauryl Lane | Hair & Makeup: Amy Clarke | Calligraphy Labels: Cherish Paperie. More cold, rainy days here in Colorado. I won't lie- the weather here depresses me. Locals like to talk about how sunny it is, but they are clearly not from Southern California! I never thought of myself as a sun-worshipper since I'm fair-skinned and have always had to make a concerted effort to shield myself from the sun's rays. Yet after only five months of living in Denver, my doctor informed me that I was Vitamin D deficient! Who knew? I'm looking forward to lots of travel in sunny regions in the days ahead, but for now I'm trying to use bright flowers as mood-enhancers in lieu of sunshine. You've heard of pet therapy, right? Well, how about some flower-therapy instead? I've heard it can cure a multitude of woes! Flowers are one of the first gifts that come to mind when we think of our mothers on Mother's Day, just as we know to give flowers to our lovers on Valentine's Day or to smooth things over after an argument. The giving of flowers is ingrained into modern culture, and we know that flowers can say "I love you" or "I'm sorry," but did you know that there is a long tradition of individual flowers holding very specific meanings? Red roses are widely known to say "I love you," but they can also stand for respect, courage and even embarrassment! Different flowers can have a variety of meanings, both positive and negative, so it's important to know which flowers to pair together in order to get your true message across. First published in Paris in 1818, Charlotte de La Tour's classic Le langage des fleurs first brought floral meanings to the masses. Although meanings had long been associated with different floral specimens, the Victorians, in particular their poets and artists, used the meanings of flowers to convey messages in art, literature, and even in day-to-day settings. de La Tour's book gathered known floral meanings rooted in ancient history and laid those meanings out, creating a reference guide that we still draw from today. While we no longer attend balls carrying nosegays that can indicate if we are unattached or not, we can definitely use the lost language of flowers to convey meaning through a simple gift. There are many resources online for discovering the meanings behind various flowers, so next time you're shopping for a floral gift, do some research first! Choose a color scheme (colors matter- in many cases, different colored flowers even of the same variety can have vastly different connotations! ), find out what various flowers in that color scheme mean, and then visit your local flower shop and ask the floral designer if you can choose individual flowers to have made up into a special bouquet. For a mother's day gift, you could choose lavender, for devotion. Alstroemeria stands for prosperity- and who doesn't wish prosperity for their loved ones? Ivy stands for dependance and endurance, both qualities that mothers have in plenty. The pink pixie (or mini) carnation reveals the meaning of a mother's love, and gratitude, again very apt for such an occasion. And the ranunculus demonstrates radiant charm. While your mother probably won't know these meanings outright, you can include the meanings on your enclosure card, and it's a given that she'll be delighted by the thought and detail you put into such a heartfelt, personalized gift. 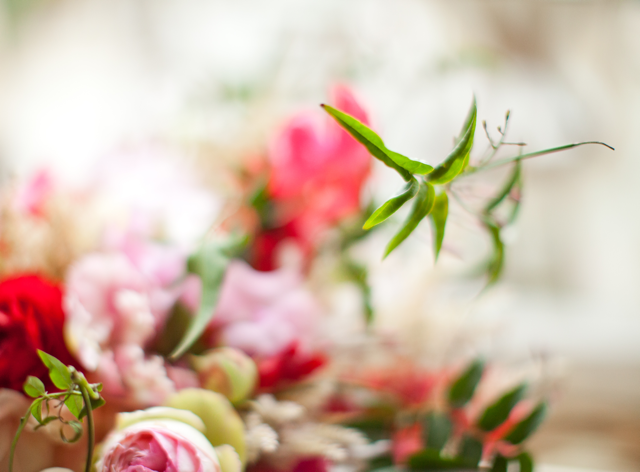 Let's bring back the lost art of using the language of flowers! These are just a few of the florals I recently designed for my dad's 65th birthday party, hosted by my eldest sister and her husband at their beautiful home in the Oakland hills. I chose colors and shapes that coordinated with the design of the home so that the floral pieces looked relaxed and natural in the space, while still adding a touch of festivity for the party atmosphere. 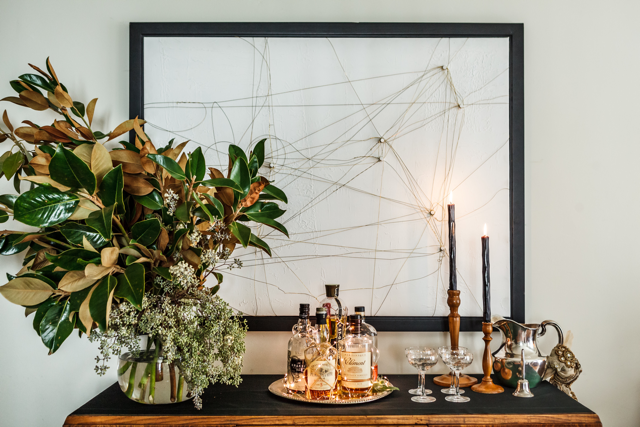 Using a lot of heavy texture, as I always do, I was able to create visually interesting pieces from the larger statement arrangements all the way down to the little mini arrangements that graced coffee and side tables. 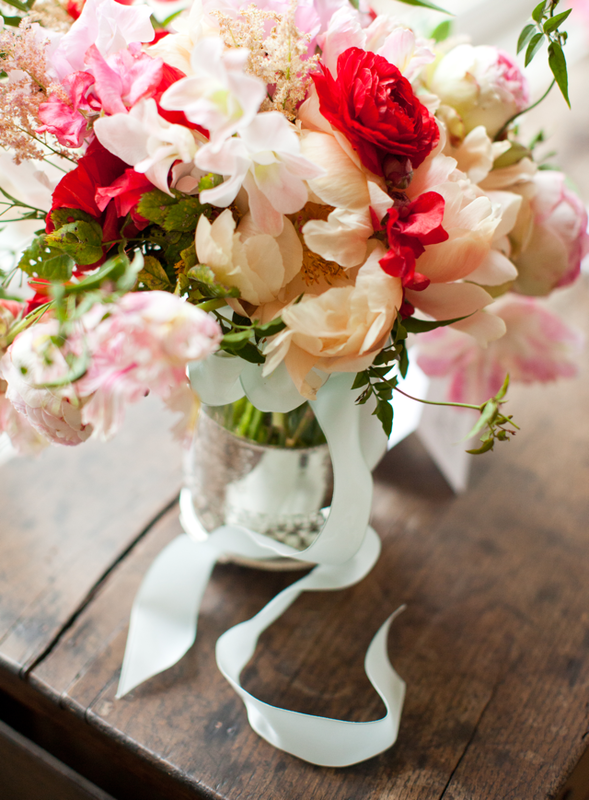 Images | Florals | Styling by Lauryl Lane. 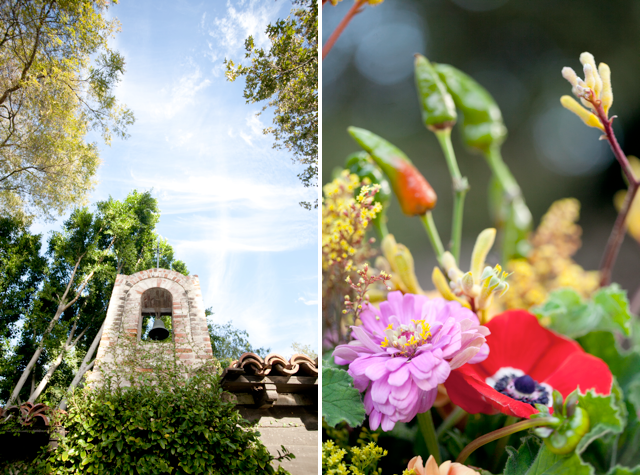 This gorgeous "upscale fiesta" rehearsal dinner is one of my favorite events to date. The event took place in the motor-court of Sitting Bull, the original lodge on the Hummingbird Nest Ranch property. The old brick building with it's tiled roofs surrounded the cobbled-drive of the motor-court, and three long tables were set up in a "u" shape to facilitate a family-style feel to the plated meal. 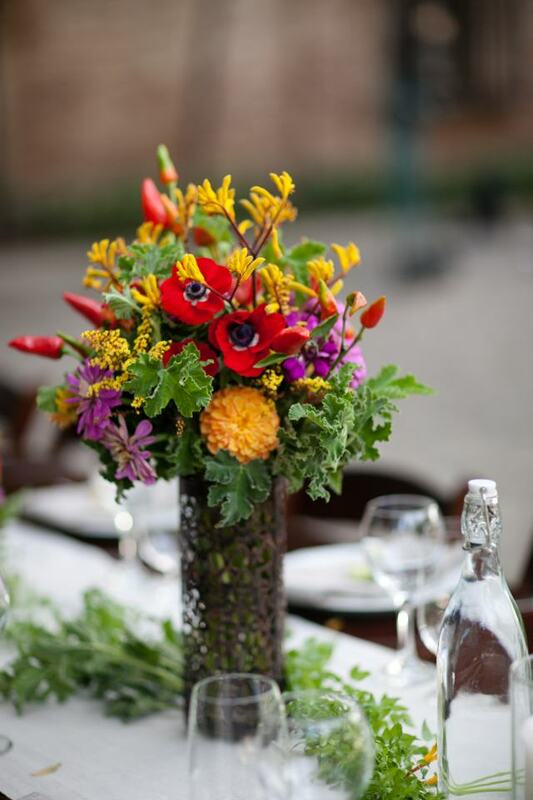 I used brightly colored florals in reds, yellows, oranges and pinks, with lots of saturated greens including dahlias, anemones, zinnias, kangaroo paw, celosia and decorative chili peppers. Each table featured a variety of arrangements at different heights, as well as pillar candles and a runner of fresh greens and florals. As the sun began to set, the candles and strung festival lights glowed, creating a soft and inviting ambiance. The party went on late into the night, and as I worked about a half mile up the road, designing the pieces for the next day's wedding reception, I could hear the happy voices and much laughter. It seemed like an absolutely idyllic evening. If only all wedding rehearsal dinners could be such fun! FEATURED | Grey Likes Weddings. A year ago I blogged about styling a cake for Joy the Baker. It was a blast to work with Joy, totally fun, and we had some good laughs over how very unglamorous these photos shoots are behind the scenes. If only people knew... I'm not going to lie, I was a little devastated when the cake I styled failed to pass muster with Joy's editors. You see, it was supposed to be for the cover of her new cookbook. I was sooooo excited about that. I've had my designs on the cover of a magazine... not once, but twice. That's a pretty big deal. But the cover of a Joy the Baker Cookbook? That made my little heart go pitter patter pumpernickel. Alas and alack, it wasn't to be. The cookbook editors went a different direction. Ah, well, I suppose the cake I styled can live on in infamy on this, my little bloggity-blog. At least I can look at it, and that makes me happy. 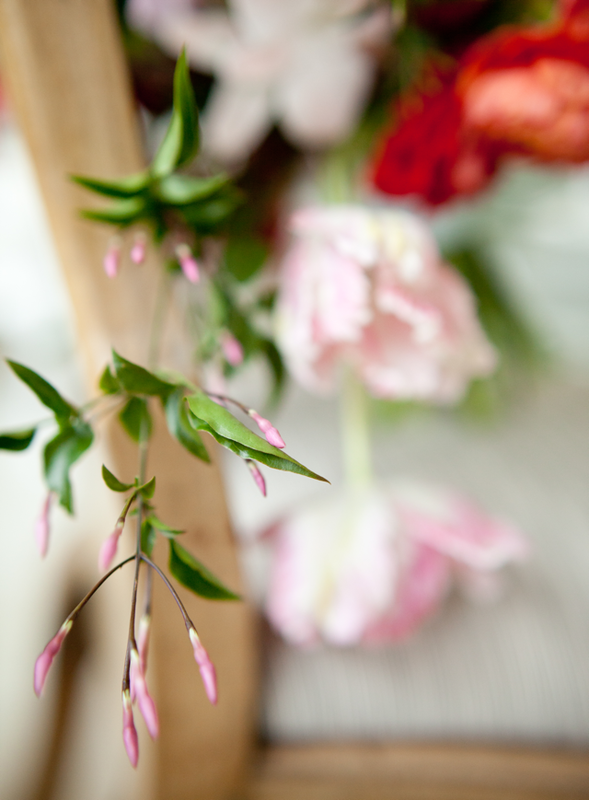 Images by Joy Wilson | Floral Design by Lauryl Lane. Sir Arthur Conan Doyle could not have said it better. The little things ARE infinitely the most important. Many people think of flowers as a "little thing." Or a luxury. I suppose they could be categorized either way. But whether "little" or "luxury," they make the world a brighter place. I can't imagine living without the ability to fashion and cultivate these gorgeous bits of nature into works of art. Hand-tied bouquets are always my favorite. Always. Without question. I also love boutonnières, and long for these to come back into vogue for more frequent use than weddings! But centerpieces, where would we be without centerpieces? They make any dull table gay. They bring the outdoors in. They remind us of the beauty that surrounds us. Oh sweet fleurs, I adore you. 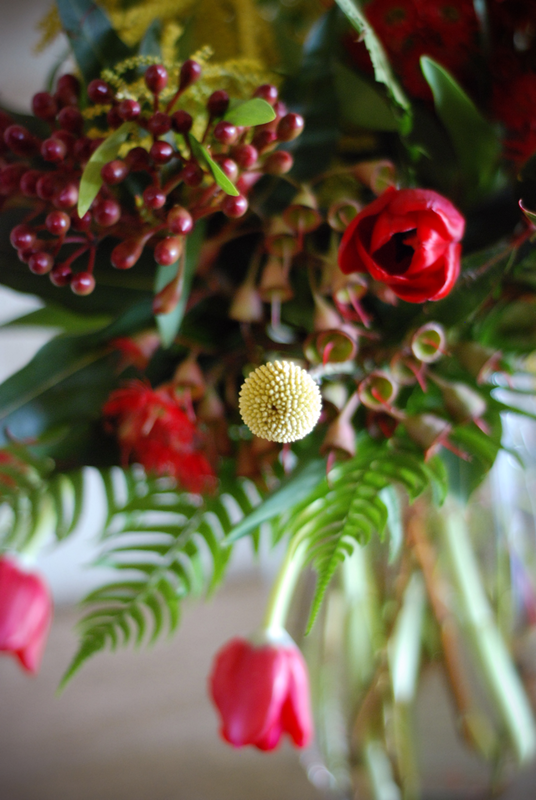 You cheerful red and orange ranunculas, you delightful textured balls of scabiosa pod, you perpetually-blooming stars of bethlehem, and you luscious cedar: yum. Yummy yum yum!